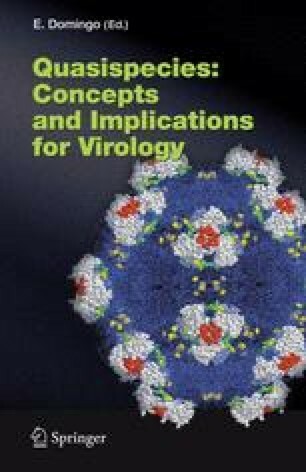 During viral infections, the complex and dynamic distributions of variants, termed viral quasispecies, play a key role in the adaptability of viruses to changing environments and the fate of the population as a whole. Mutant spectra are continuously and avoidably generated during RNA genome replication, and they are not just a by-product of error-prone replication, devoid of biological relevance. On the contrary, current evidence indicates that mutant spectra contribute to viral pathogenesis, can modulate the expression of phenotypic traits by subpopulations of viruses, can include memory genomes that reflect the past evolutionary history of the viral lineage, and, furthermore, can participate in viral extinction through lethal mutagenesis. Also, mutant spectra are the target on which selection and random drift act to shape the long-term evolution of viruses. The biological relevance of mutant spectra is the central topic of this chapter.